Danny Boyle is set to direct a biopic of the life of Apple creator Steve Jobs and it looks like Christian Bale has lined up to play the lead. The last time Steve Jobs was portrayed on the big screen, it was by Ashton Kutcher. Did you like Kutcher’s portrayal of Steve Jobs? Do you think Christian Bale will pull off the role? I find it all strange -why do they have to do it all over again? I didn't see the first one and I would probably not see the second. It is a really hard "ask" to play someone and I do not think either of them can do it brilliantly. 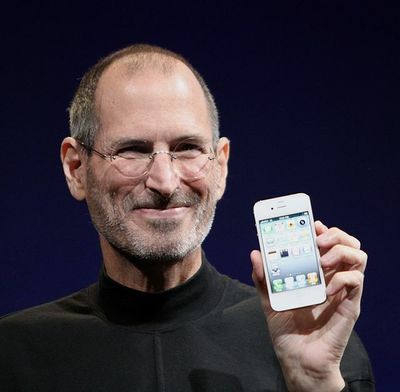 Steve Jobs had a unique way about him and I do not think this can be copied. I get wanting to make a movie about the life and successes of Steve Jobs but seriously, Ashton Kutcher wasn't the right man for the role. He doesn't have enough of a commanding air. Christian Bale isn't the right man for the role either. He has too much of a commanding air and not enough softness. Both are great actors, but I believe they will both be doing the man they are portraying a disservice. I don't particularly see why anyone would want to watch a movie about Steve Jobs. I watched the Ashton Kutcher version and I quite enjoyed it. He wasn't spot on but he had enough breadth in his character to pull off his younger years which are pivotal in any story, I'm not sure Christian Bale could do the younger years any justice now, as he looks older. He'd no doubt be better for the senior years, that Ashton struggled with screen prescence, but is another movie necessary. The first one did just fine, and it told a good story. It's not a tale that needs telling over and over again. He had a well documented life so there's not really any surprises. Bale has proven time and time again that he can nail a part. As a method actor I am sure he can find his voice if he does chose to play Jobs and make it convincing enough to pull it off. What was the best movie of 2016? Does Big Hero 6 look cute or what? Will you be checking out Zoolander 2? Who should I hire to photograph my London wedding? Do you think pets should be considered property?